Studio Line Hot & Smooth Straight is a 200ml heat protection spray from L'Oreal. This heat protection protects your hair when blow drying, straightening and styling your locks, offering protection at up to 230ºC. Whilst protecting your hair, the spray also tames any frizz, ensuring a sleek and polished look. To use simply spritz L'Oreal Studio Line Hot & Smooth Heat Protection Spray onto damp hair; use your fingers or a comb to evenly distribute the spray; then dry and style your hair as usual. 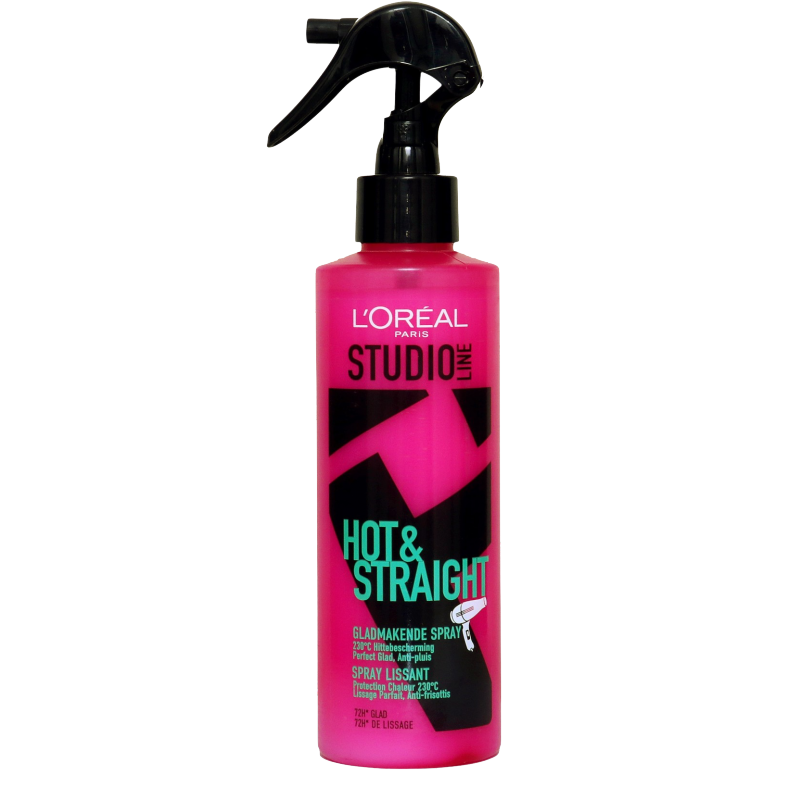 The heat protection spray will lock in your sleek and straight look for three days.